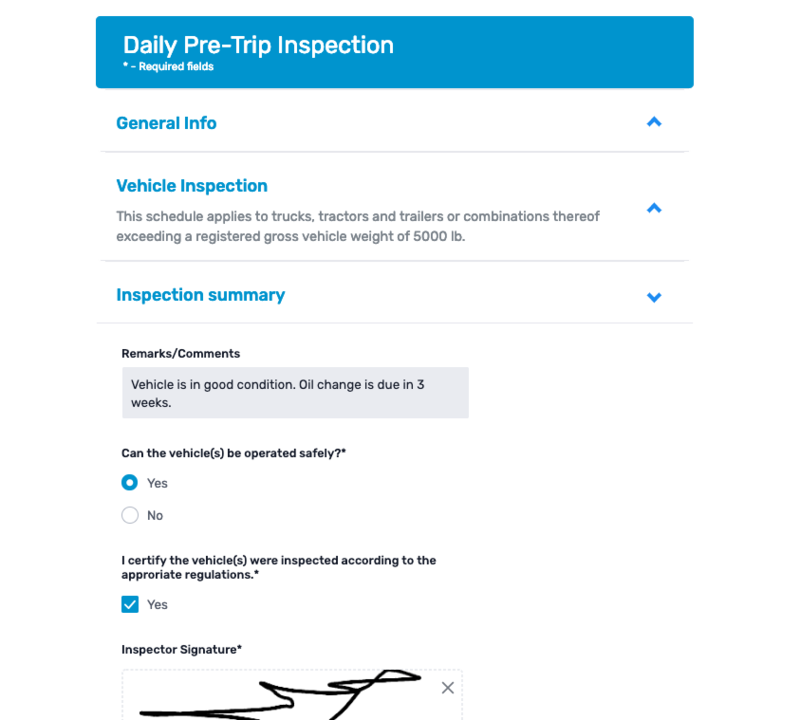 Change the way how you perform your daily vehicle inspections and switch from paper forms to digital. 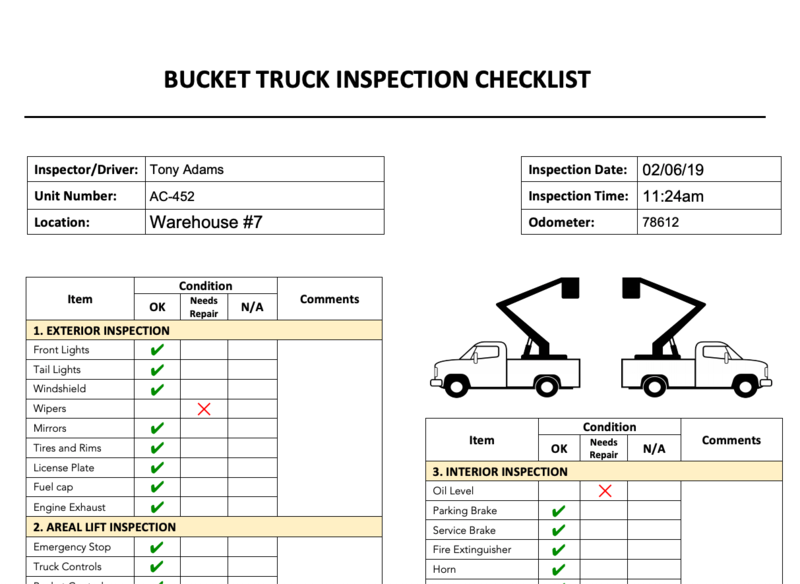 Completing regular pre-trip and post-trip inspections is one of the most important tasks for any service company that manages their fleet. Smart Field Forms has pre-built forms for that, as well as a robust drag-and-drop forms builder. Improve your daily checklist procedures and save thousands by going digital! 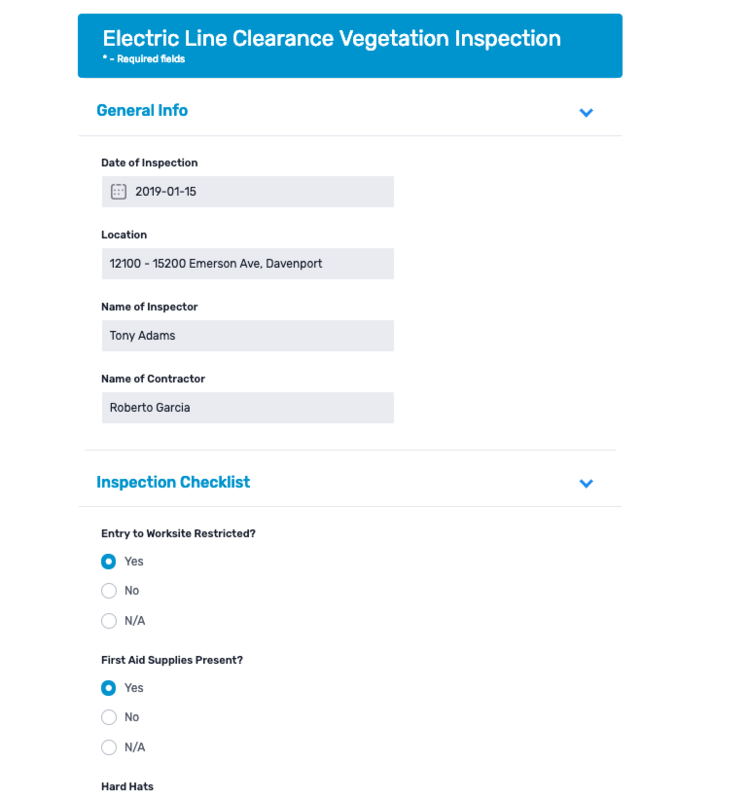 Smart Field Forms has a solution anytime you need to do a visual vegetation inspection or provide electric line clearance services. Our powerful forms engine has multiple options like checkboxes, drop-downs, voice filling, multiple signatures, take and draw on images capabilities. Create a free account and try it out today! 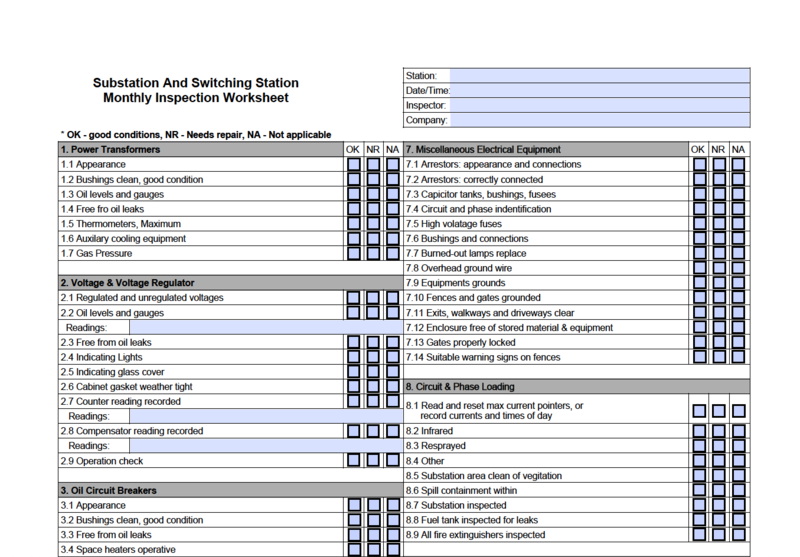 At Smart Field Forms you will find pre-built templates for your substations and switching stations inspections, together with intuitive drag-and-drop form builder. 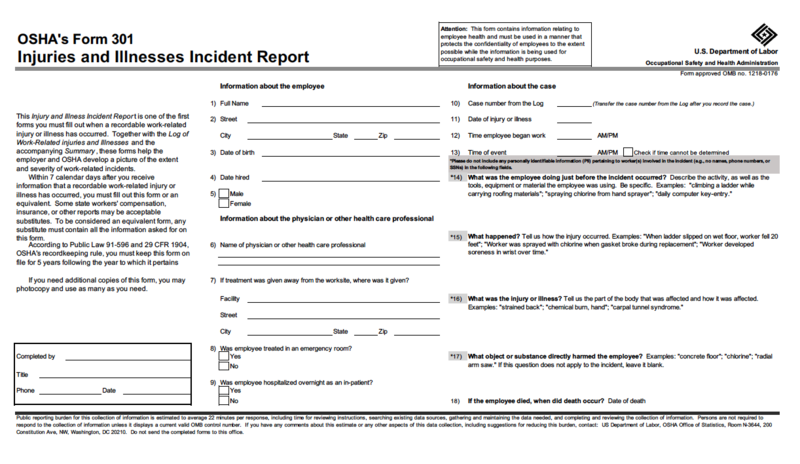 Upload your own PDF’s, create a form from scratch or use a template – anything is possible! 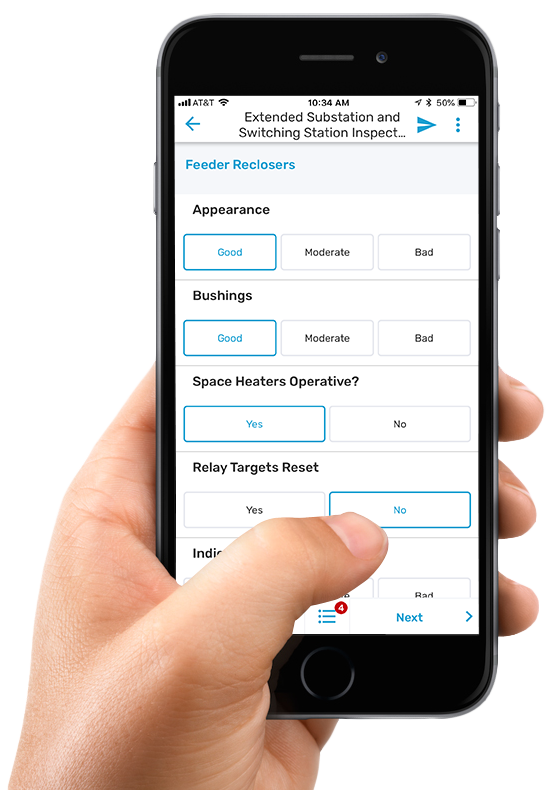 We offer simple to use but powerful mobile app for all of your inspections, checklists or audit needs. Our app works same great online or offline, giving you flexibility to work anytime, anywhere.